Dior ❤. A prominent French luxury brand that needs no introduction. Thank you for inviting me over for the grand launch of Dior Beauty Boutique in Mid Valley Megamall. Now, shopping for Dior products is made easier because this boutique offers Dior's full-fledged collections ranging from perfumes and nail care to makeups and skincare. Well, I must admit that a good bottle of perfume is every girl's best friend! My wishlist would be this Dior's latest j'adore, its scent is so feminine, glamorous and luxurious. Look at the beautiful swatches! Dior 5 Couleurs Eyeshadow‎ is amongst the best-selling eye palette offers endless possibilities with its wide, versatile range of colours. Time to play with creativity based on the central shade! And my favourite item in Dior Spring Collection 2015 is definitely this Les Neiges de DiorSnow Colour Correcting Radiance Powder. The color correction with subtle shimmer that it gives is so beautiful that I couldn't resist! 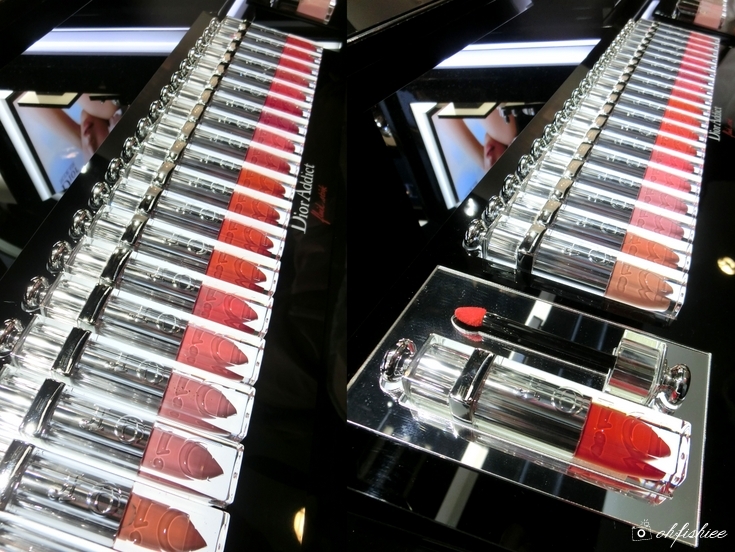 As for the lips, you must really check out the latest Dior Addict Fluid Stick, the first all-in-one lip hybrid by Dior! Not a gloss, not a lipstick....but the lightweight fluid yields high colour impact, glossy shine and great moisture. I tried it on, and totally impressed by the rich colour it achieves in just one single sweep. ....and a lot more lipsticks are in the house! 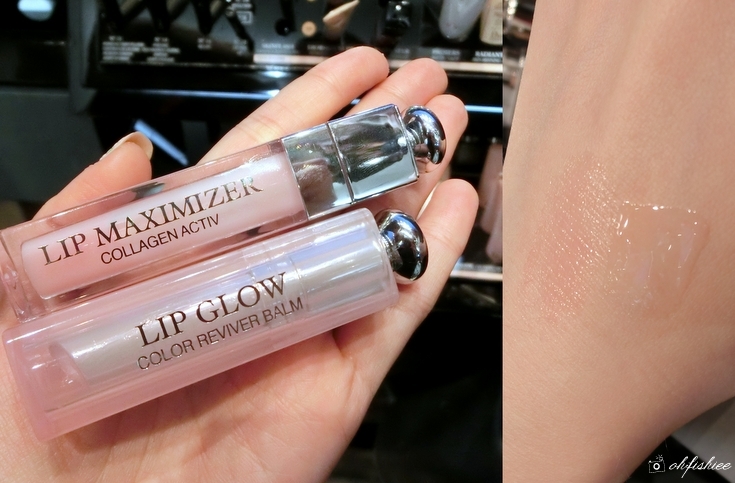 Dior Addict Lip Glow and Lip Maximizer are must-haves for every girl! As for lips care, the above two are to die for ❤ They are sheer balms that plumps the lips, enhances its natural color while moisturizing and protecting the skin. Interestingly, the Lip Glow reacts with the chemistry of your lips to create a special shade that will last all day. The recent addition to my Dior collection is its latest Nail Glow that comes in translucent pink shade. I decided to get it because my nails look quite pale and unhealthy due to constant application of polishes :( Luckily this nail enhancer is able to give the natural nails a shining finish and healthy-glow effect! Just girls being girls :D We are all so excited over Dior's extensive ranges. Once again, congratulations to Dior Beauty!